Kuchala is a slow growing beautiful deciduous to semi evergreen tree growing commonly in shady areas. On an average it attains height of 10-12 m but grows even taller upto 2m if it gets a favourable condition. The bark is backish grey to yellowish grey covered with minute tubercles. It has glossy oval leaves and frequently crooked trunk. Small greenish white flowers appear in terminal cymes. 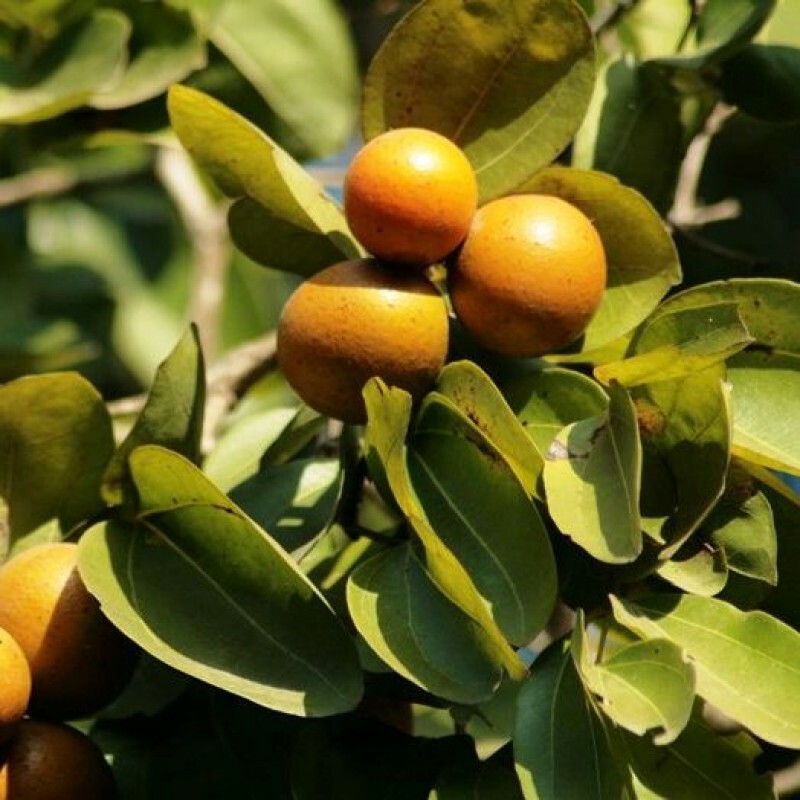 The fruits are small berry of a size of small orange, brownish yellow in colour, contain a large amount of gelatinuous pulp in which 1 to 5 seeds are. embeded. The seeds are disclike, 4-5 mm thick and irregularly curved. Very bitter in taste. It is used for digestive complaints such as indigestion, vomiting, cjiarxhoea, and constipation. It is given for over sensitivity and irritability. Nuxvomica is also good for colds with a blocked nose, flue with fever, shivering coughs with larynx pain. It is used for irregular menstruction, frequent urination, morning sickness and labour pain. Kuchla fruit is useful in treatement of leucoderma, blood disorders, piles, jaundice, urinary discharge and ulcers. Climate: It grows well in tropical and sub tropical climate. Soil: Loam and clay soils rich in organic matter are ideal. It is propagated by seeds. Seeds are sown in polythene bags during May - June. Before sowing the seeds, it is soaked in water so that there sill be better germination. The seeds will germinate within 20 - 25 days. The seedling are planted at a distance of 6 x 6 m distance during July. The pits of the size of 0.5 x 0. 5 x 0.5 m and filled with FYM # 5 kg and neem cake 500 g/ pit are dug previously during may - June. Immediately after planting plants are given light irrigation. Irrigation should be given, if there is no rain. Weeding should be done after two months of planting and whenever required. As the plants grow tall then no regular weeding is required. The tree comes to flower after about three years of planting. Flowering starts in the month of August and fruits ripen during October. Fruits starts falling on the ground when they mature. Fruits are harvested by plucking, when they start falling on the ground. Fruits are dried and seeds are taken out from the fruits. Before filling a gunny bags the seeds are dried and kept in dry and clan place and there after sold in the market.